Oswald Brierly was the second professional artist (after Nicholas Chevalier) to be appointed to the Art Gallery of NSW’s London Selection Committee, delegated to purchase works of art for the collection. His name had become known in Australia in the mid 19th century after he accompanied the Scottish entrepreneur and adventurer Benjamin Boyd on his voyage to the South Seas in 1841. Boyd established a whaling station at Twofold Bay in New South Wales where Brierly was installed as manager from 1842 to 1848. There Brierly recorded the offshore activities in numerous drawings and watercolours showing the pursuit of whales for their blubber, which was primarily used to manufacture oil for lamp fuel. In subsequent years he returned to whaling scenes, perhaps never more successfully than in the Gallery’s watercolour depicting men hurling harpoons from open boats – a picture he engraved in 1868 for The Illustrated London News . In 1848 Brierly joined Captain Owen Stanley as shipboard artist on HMS Rattlesnake on a survey of the Great Barrier Reef, Torres Strait and parts of New Guinea. His depiction of the vessel in a squall off the island of Timor, painted on the walls of Oswald Bloxsome’s house, The Rangers, at Mosman, Sydney, was reputedly the first mural created in Australia (now destroyed). Another voyage in 1850 with Henry Keppel on board HMS Meander took Brierly to New Zealand, Tahiti and South America, before returning to England in 1851. Brierly was invited to join Prince Alfred’s world cruise aboard HMS Galatea in 1867. The next year he accompanied the Prince of Wales to Egypt, Constantinople and the Crimea. 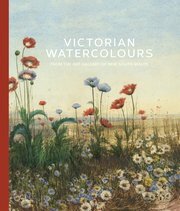 Brierly was elected an associate member of the Society of Painters in Water Colours in 1872 and a full member in 1880. 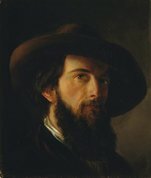 He was appointed Marine Painter to Queen Victoria in 1874. His visit to Venice in 1882 resulted in a series of elaborate works such as Weather clearing up after rain at Venice , which featured in the inaugural catalogue of the Gallery’s collection published the following year.